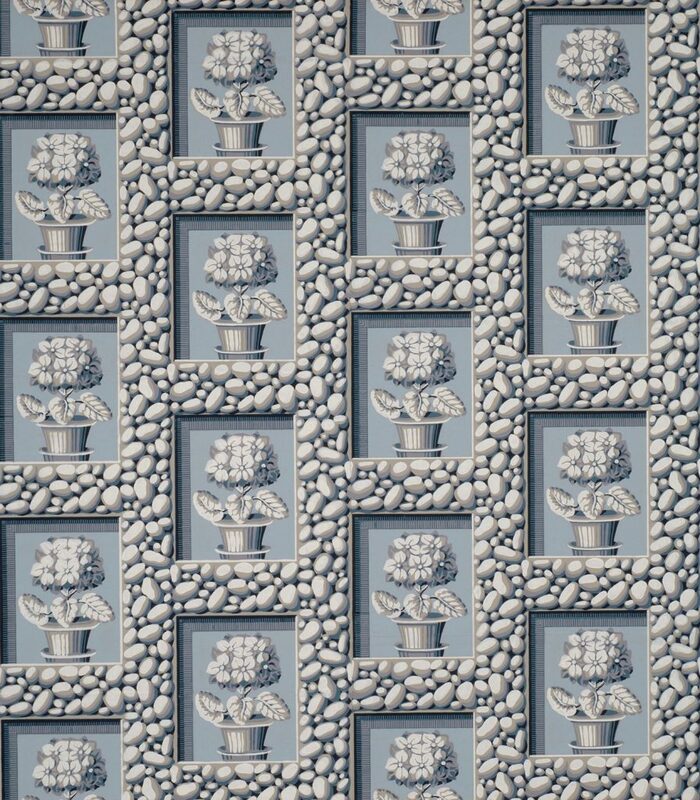 This pattern is licensed to Adelphi by the Blue Grass Trust for Historic Preservation in Lexington, Kentucky. 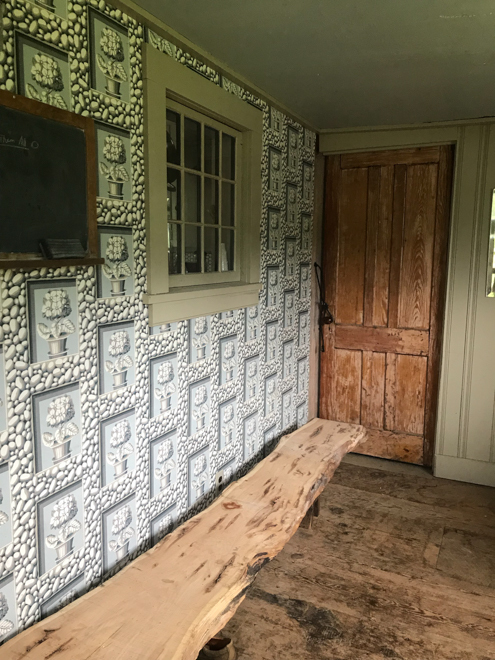 This striking and very distinctive paper, along with the Festoon Frieze, was originally hung in the dining room of one of the most important and ground breaking examples of American domestic architecture, the Pope Villa in Lexington, Kentucky. The house was designed in about 1815 by Benjamin Henry Latrobe, one of America’s first professional architects, and built for Senator John Pope and his wife Eliza, who was a sophisticated client and participated with Latrobe in the design. Latrobe’s fusion of classical sources and picturesque theory places the Pope Villa among the most important buildings of Federal America. Adelphi has located several fragments of similar early designs in the Independence National Park Collection. These wallpapers were all hung in a downtown Philadelphia structures, leading us to surmise that the Pebbles and Flowerpots was likely produced in Philadelphia. Imperial Measurements: Repeat 11 ¾ inches, width 20 ⅝ inches, straight match. Metric Measurements: 29.8 cm, 52 cm.